If you’ve sat in an intro marketing course at the college/university level, you’ve likely heard similar phrases. Sadly, at most institutions of higher education, you didn’t get too much more in-depth than the surface-level theories of marketing. And, even more sad, those theories, though providing excellent principles to follow, aren’t implemented in the actual business world because marketing teams in the wild have to act scrappy and get a lot done. The modern marketer is so busy creating content, generating leads, and driving revenue that they can’t take time to focus back on theoretical principles they learned in school. Thankfully, some institutions of higher education are adapting their marketing coursework to be more tangible and valuable to the working marketer. In today’s #MartechMonday post we’re going to take a look at a few of these Universities and evaluate what they’re doing to bring marketing curricula up to par. While not an exhaustive list, a few Universities that are making large strides in this space, and which we’ll examine in this article, include UCLA, Penn State, MIT, and Oxford. For more options, see a previous ClearVoice article on excellent content marketing courses for professionals. While many universities have only had social media marketing courses in their business school programming for the last few years, UCLA has been teaching the class for almost 20 years. In part, due to it’s close proximity to so many tech startups on the west coast, UCLA has been leading the way with marketing technology-related courses. In a ClearVoice exclusive interview, I had the opportunity to talk to Dr. Ing Phansavath, the Program Director for Leadership, Management, and Communications Programs at UCLA Extension. She shared how UCLA has been able to create programming that is more tactical in nature, how it is benefiting students, and where they see the future of the program. Below is a selection of the transcript of our interview, that shows how UCLA is leading the way with innovative martech training and courses. Do you feel like what you’re doing, with more marketing technology-oriented courses, is unique in higher education? Dr. Phansavath: A lot of the schools are trying to be in the space… We’ve been offering these courses for a while. For example, our social media marketing class, we’ve been teaching that for almost twenty years. We’re constantly making sure we’re trying to communicate with industry to see if it’s a skill that professionals will need. And if it’s something we can build out into a course, we’ll do it. I don’t recall seeing any other universities with as extensive a list of offerings as we have. Why are you able to offer courses that are more innovative, cutting-edge, and applicable to everyday marketers? Dr. Phansavath: Because we are an extension focused on more tactical coursework that can be used by the working adult professional, we are able to bring changes, and new courses, to our program much quicker because we are able to get them through the curriculum approval process quicker. A lot of these courses you’ll see taught first in the extension, and then it might take a while to get it integrated into the degree program curriculum. What is UCLA doing to further the education around that marketing technology side of learning? Dr. Phansavath: I actually still think we have work to do. It’s that constant conversation we have with industry professionals to learn about what skills and what they need their workforce to know. What do marketers need to know, and is it possible for us to bring that into the classroom… While we offer a lot of classes, there is still an opportunity for us to offer more. There is so much in martech, right? Every topic could be its own course. I’m actually going to be launching a new certificate in just digital marketing, that is focused just on the digital aspects of marketing. In that, there is a “special topics” course that allows us to offer credit while having more agility to change the course content so that it reflects what is happening now in actual industry. Tell me about a success story: When is a time that a marketing technology student has been successful due to your program? Dr. Phansavath: Recently there was a student that was telling me about an opportunity he had here, but the company was going under and he was going to lose his job. This was an international student that was here on a visa, and was being sponsored by the company he was working for. Fortunately, one of our instructors had gotten a call from a colleague in industry, saying that he was looking for someone that had certain social media marketing skills. The instructor was able to talk to the international student and tell him that an opportunity had come up for someone with his skills, and it was exactly what the student had studied here. And in less than a month later, the student was able to find himself in a new position and continue to keep working here. What advice do you have for people looking to go back to school for marketing technology education? Dr. Phansavath: Education is a worthy investment, for sure, but as a student, it’s really important to know what you want to do. Sometimes students go into things without a clear understanding of what it is they want to do. You don’t have to have all the answers, but at the same time, it is important to ask questions of the educational institution you’re interested in, to make sure that what they’re offering aligns with what you need. It’s also important to not be afraid to just ask questions. I think for students to be empowered to ask questions and choose from options, is a good thing. When people hear the name “Oxford” they generally associate it with a prestigious and well-respected air. With that prestigious air, however, comes another association of a university steeped in tradition and slow to adopt change. We, marketers, know that modern marketing is all about change. It may come as a surprise to you, then, to hear that the University of Oxford values keeping up with marketing technology change and is taking active steps to ensure it’s Saïd Business School curriculum has coursework that is practical and usable in the industry of marketing. As such, they hired Professor Andrew Stephen to help launch the Oxford Future of Marketing Initiative. Through leveraging their prestigious brand, the school and Dr. Stephen’s connections to industry, they have brought together the brightest academic and industry minds to help make sense of, and shape, the future of marketing. Among the variety of marketing technology related courses taught at Oxford, is the Digital and Social Media Strategy course taught by Dr. Stephen. Between these courses and the Future of Marketing Initiative, Oxford is showing that even the most prestigious and tradition-steeped universities can teach with the times, providing marketing technology training to marketers of the future. Similar to UCLA, Pennsylvania State University (Penn State) offers several courses specifically targeted towards giving students the skills they need with marketing technology to get jobs and make a difference in industry. Their new(ish) marketing analytics class is designed to help students learn to use and analyze data for a slew of marketing considerations, including brand positioning, pricing strategy, marketing campaign performance measurement, and voice of customer. 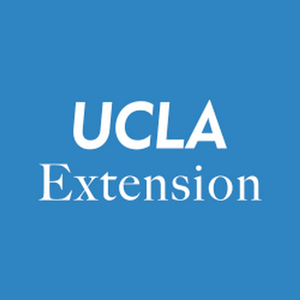 UCLA and Penn State both offer these more tactical oriented marketing technology programs through their extensions, meaning that while some of the classes taught in these programs are also taught in the full-time undergraduate and MBA programs, some of the courses are specific only to the extension/distance learning offerings. That said, Penn State takes the marketing technology emphasis one step further with their Institute for the Study of Business Markets, an institution run by marketing department professors Dr. Petersen and Dr. Lilien, where much of the focus is in helping B2B marketers improve their practices and use of marketing technology (ie Analytics) to improve business performance. 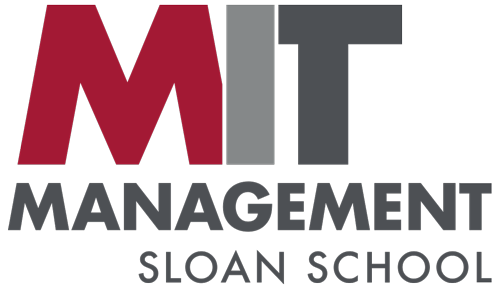 Keeping with the digital marketing and social media aspects of marketing, MIT also offers a slew of courses aimed at helping students learn marketing technology-related skills. MIT has long been known for it’s dedication to merging technology, engineering, and business to drive innovations. MIT doesn’t disappoint when it comes to marketing technology courses. Their offerings include such innovative martech-related topics as predictive modeling for ad targeting, conversion rate optimization, user-generated content management and marketing, and CRM strategy. As you’ve seen from the examples being set by UCLA, Penn State, MIT, and Oxford, there are programs out there that are offering courses that are pushing the boundaries in marketing, often including courses specifically covering the art and science to marketing technology. That said, what if you’re not geographically positioned, or blessed with vaults full of cash to afford an education from one of these institutions? From my own undergraduate experience at the University of Utah to my Masters of Business Administration experience at Brigham Young University, I’ve learned something of particular importance: Formal education is best at expanding one’s mind and creating networks. The rigors of attending structured classes and completing group projects can seem arduous, but no online, non-structured course can do as good of a job at helping you meet new people and learn to stretch the mind. While it wasn’t necessary that I had a bachelors degree for my first employment opportunity, it was in a school club meetup that I met someone who put me in touch with my first employer. I experience the same thing in my MBA program, as several classmates I became friends with have gone on to provide me with freelance consulting opportunities. Likewise, the rigor of both my structured education programs provided me with brain-stretching exercises that have engendered in me a love for learning… a pursuit I’ll enjoy throughout my lifetime. In addition to being beneficial for your networking and personal improvement, many universities are beginning to offer marketing courses with more hands-on skills. As such, I encourage you to look for programs that include courses in digital marketing, marketing analytics, or social media management. If you’re not able to find a school of good repute, that you’d like to attend that has these more marketing technology-focused courses, then be sure to supplement your learning from online courses.